Honolulu, HI, May 27, 2010 – Phycal LLC, an algae fuel company, recently announced that engineering, procurement, and construction management (EPCM) firm SSOE Group has been hired to perform preliminary engineering design for the company’s new 40-acre pilot algae farm in Central Oahu, Hawaii. 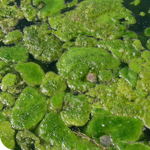 The project, funded through Department of Energy (DOE) grants as a part of the American Recovery and Reinvestment Act (ARRA), will seek to capture CO2 gas and recycle it in an algal oil production process in an open raceway pond. “SSOE is very excited to be working with Phycal to bring their patented technology into pilot production. We have been active throughout the evolution of the biofuels industry for the past five years and are proud to work with Phycal on this project that will bring sustainable and affordable energy sources one step closer to becoming a viable alternative for consumers,” said Dave Sipes, PE, Senior Vice President, Industrial Process for SSOE Group. SSOE is currently ranked 3rd nationally among Green Industrial and Manufacturing Design Firms (Engineering News Record). SSOE has been working with Phycal behind the scenes on portions of this project for over two years. Their responsibilities include the development of a mass balance, scaled up from laboratory to pilot plant; design systems that will grow/feed the algae, clean the systems, dewater the algae, and extract and purify the oil; recommendations and preliminary design for instrumentation and controls for operations and data collection; design support for utility systems; as well as cost estimating for the construction of the pilot plan. SSOE also assisted Phycal in the DOE grant application process for both Phase One and Two.